The retina is a thin layer of tissue that lines the back of the eye, near the optic nerve. The retina’s main job is to receive the light being focused by the natural lens. The retina then converts the light into signals the brain can decode, giving us the ability to see. The highly sensitive macula is in charge of our central vision and the ability to see color. The retina contains two types of photoreceptors: rods and cones. Rods, which are littered throughout the retina, detect motion and provide black-and-white vision while cones are concentrated in the macula to the fovea, providing central and color vision. Without the use of these photoreceptors cells, the simplest tasks could become difficult. The health of your retina is very important for your overall sight, so it is important to get routine eye exams to catch any problems that may appear. 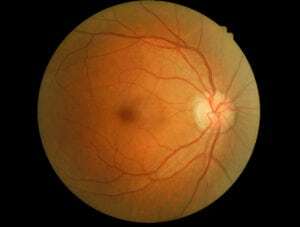 Some of the major problems that can occur to the retina are age-related macular degeneration, diabetic retinopathy, solar retinopathy, or it can be become detached or torn. Age-related macular degeneration (AMD) is the leading cause of vision loss in adults over the age of 60. The disease mainly attacks the macula, which is responsible for all central vision. There is no proven treatment for the dry form of AMD but some treatments can help reduce or slow the progression. Taking antioxidant vitamins and zinc supplements, as well as eating better can help not just your sight but everyday life. For severe vision loss, there are treatments such as Anti-VEGF injections, Photodynamic therapy, and laser surgery. A lot of people also experience objects floating through their field of vision, or sudden flashes of light that look like lightning. These common problems are generally harmless, but if you notice a sudden increase in number and size of floaters, or a sudden decrease in vision, then it is possible that you may have a retinal tear or detachment. If this is the case, it is important to call our Kerrville office right away in order to prevent permanent vision loss.